Es ist schon seltsam: Wenn man sich von #WhatsApp verabschieden will oder es gar nicht nutzt, muss man sich dafür erklären. Das ist bei keinem anderen #Messenger der Fall. Anfangs habe ich noch versucht, meine #Kontakte zum Abschied von WhatsApp zu bewegen - höchst schwierig und erfolglos. Selbst die Bitte, zumindest #Telegram, #Signal oder #Threema zusätzlich zu nutzen, damit mein Abschied von WhatsApp leichter fällt, stieß auf Ablehnung und taube Ohren. The Unsend feature has received a boost in the name of privacy. Facebook is often seen as an untouchable behemoth in the social media realm, a site so big that no competitor can come close. But if you trust Pavel Durov, the founder of messaging app Telegram, even a simple stumble from Facebook like a few hours of outage can have pretty serious consequences for its user base. On Thursday, shortly after Facebook, Instagram and WhatsApp came back online, Durov said on his Telegram channel (via TechCrunch) that "3 million users signed up for Telegram within the last 24 hours." Telegram is interesting in that it allows for massive groups without adverts, bots, has channels, and even automation notifications via APIs. Telegram also has a desktop browser client that does not require your phone to be connected. I've also seen quite a few of my own friends suddenly appearing on Telegram this month. Telegram is gaining users fast when Facebook is down. Messaging platform Telegram claims to have had a surge in signups during a period of downtime for Facebook’s rival messaging services. It’s probably not a coincidence that Facebook and its related family of apps went down for most of Wednesday, as we reported earlier. At the time of writing Instagram’s service has been officially confirmed restored. Unofficially Facebook also appears to be back online, at least here in Europe. Durov doesn’t offer an explicit explanation for Telegram’s sudden spike in sign ups, but he does take a thinly veiled swipe at social networking giant Facebook — whose founder recently claimed he now plans to pivot the ad platform to ‘privacy’. Though they also credited growth to “the mainstream overall increasing understanding about Facebook’s abusive attention harvesting practices”. 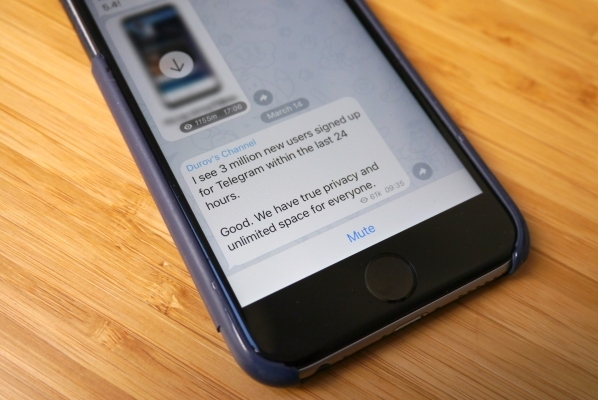 A year ago Telegram announced passing 200M monthly active users. Though the platform has faced restrictions and/or blocks in some markets (principally Russia and Iran, as well as China) — apparently for refusing government requests for encryption keys and/or user information. In Durov’s home country of Russia the government is also now moving to tighten Internet restrictions via new legislation — and thousands of people took to the streets in Moscow and other Russian cities this weekend to protest at growing Internet censorship, per Reuters. 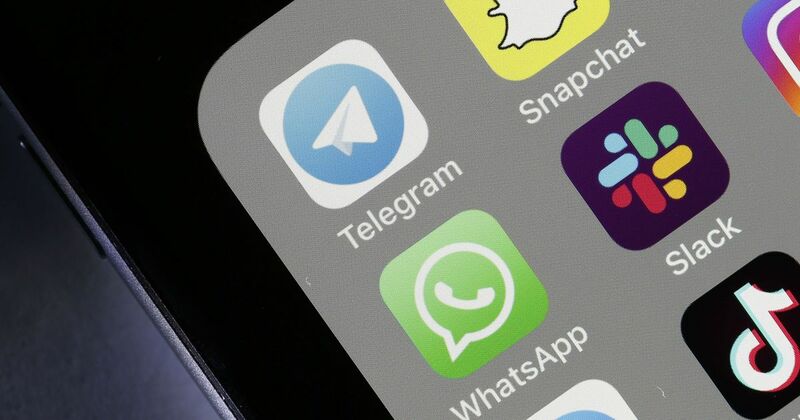 Such restrictions could increase demand for Telegram’s encrypted messaging service in the country as the app does appear to still be partially accessible there. Durov, who famously left Russia in 2014 — stepping away from his home country and an earlier social network he founded (VK.com) because of his stance on free speech — has sought to thwart the Russian government’s Telegram blocks via legal and technical measures. The Telegram messaging platform has of course also had its own issues with less political downtime too. In a tweet last fall the company confirmed a server cluster had gone down, potentially affecting users in the Middle East, Africa and Europe. Although in that case the downtime only lasted a few hours. Von einer "subtilen Blockade" spricht der Protonmail-CEO. Die Weboberfläche kann weiterhin erreicht werden, russische Mails können jedoch nicht mehr empfangen werden. Last May, when communications watchdog Roskomnadzor moved to block the popular messaging app Telegram, some 12,000 Russians turned out to a protest Svetov organized — which, he is eager to point out, was last year’s largest street demonstration. With the state quashing independent media in recent years, YouTube has become an increasingly popular tool among opposition activists seeking out audiences. The platform is now viewed by 82 percent of the Russian population aged 18-44, as The Economist reported last week. In spring 2017, opposition leader Alexei Navalny took authorities by surprise by using his YouTube channel to inspire thousands into the streets for the first mass protests against the Kremlin since 2012. 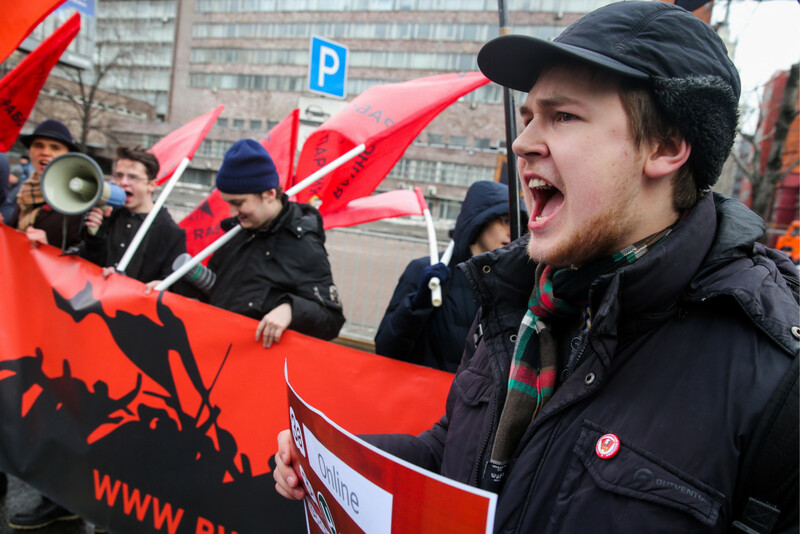 Thousands rallied in downtown Moscow to protest an Internet bill on March 10. Similar rallies took place across Russia. Critics of the bill say it will increase state control over the Internet and facilitate censorship. Protesters in Moscow chanted slogans such as "Russia Without Putin" and "Russia Will Be Free." The police detained several people, including RFE/RL's Russian Service correspondent Andrei Kiselyov. A draft law that seeks to isolate Russia's internet has raised fears that Russia could turn into the next North Korea. The telegram originally arrived in 1969 at an Ann Arbor apartment Fink shared with three classmates a day after he'd left to attend graduate school in New York. It ended up in an old filing cabinet now owned by a digital marketing company based in Ann Arbor. Christina Zaske found the telegram in December after removing the bottom drawer to retrieve a piece of paper that had fallen inside. Well, better late than never, am I right? Robert Fink received the Western Union telegram this year. Sieht prinzipiell interessant aus, ja. #qtox wirkt im Vergleich deutlich ausgereifter auf mich ... nur leider sieht es für mich so aus, als wäre die #tox / #qtox / #antox Entwickler-Gemeinde weniger gut aufgestellt als die von #jami. ... aber noch ist #jami ein gutes Stück weg davon, ein fertiger Messenger zu sein. Mein Test mit dem Telefonieren von android zu android (eine Seite heimisches WLAN, andere Seite mobile Datenverbindung) hatte sehr gute Sprachqualität und war ziemlich stabil. Bei einer Stunde Telefonat hat Android etwa 60 MB Datenvolumen berichtet. Schade, dass #tox nicht mehr Aufmerksamkeit gewidmet wird. Es ist schon recht weit gekommen als Projekt und es müssten aus meiner Sicht einfach mehr Leute daran mitarbeiten, dann wäre es schon nah dran, #whatsapp #telegram #signal #threema #matrix #riot & Co tatsächlich Konkurrenz zu machen. Die Terrormiliz IS gilt auf dem Land als nahezu besiegt. Doch wie steht es um die Präsenz im Netz? Die professionelle Medienstrategie war lange ein wichtiger Faktor für den IS. Im Gespräch, Georg Mascolo (NDR Recherche). IS: Rückzug auch im Netz? Einem Zeitungsbericht zufolge treibt Facebook die Entwicklung einer Kryptowährung voran, mit der sich Whatsapp-Nutzer gegenseitig Geld schicken können. He estat mirant el smartphone #Librem 5 i tinc un problema ( a part del preu). Tota la gent que he arribat a convence perquè entri a #Telegram o #Signal. A veure qui els diu ara que entrin a Matrix. 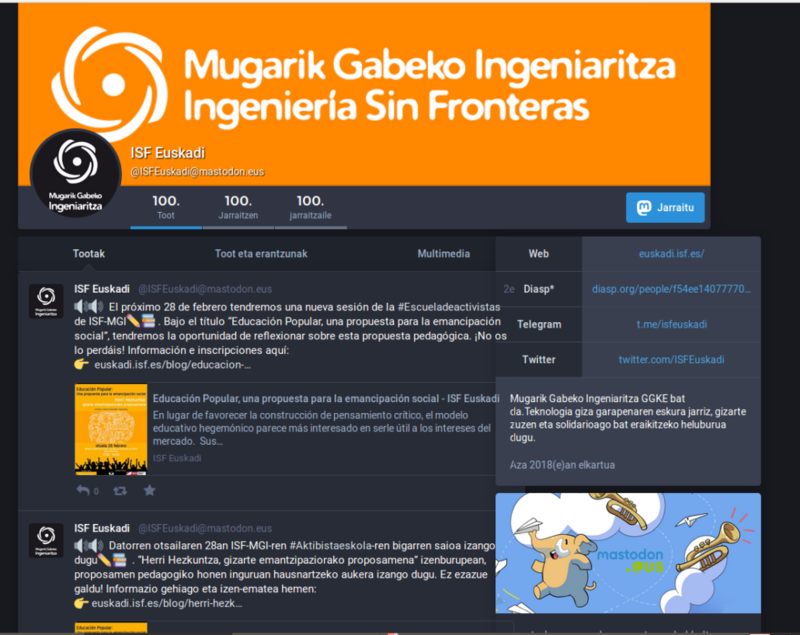 Telegram amb GNU/Linux no te converses p2p i signal es complicat fotra al escriptori. Toca Riot o Wire. Uf em diran que vagi a pastar fang. Ara sí que m'has mort. Tens #whatsapp? Jo fa anys que no el tinc i tots els contactes que vull tenir els tinc per telefon sí no volen tenir #Telegram o #Signal i els que tenia al Whatsapp i no diuen res ja saben on trobar-me. Apart de que us del Whatsapp per la feina està reglamentat. Als Messenger für seine Entwickler und auch als modernen Ersatz für IRC setzt die KDE-Community künftig auf die freie Chat-Software Matrix und den Client Riot.